Shotwell’s 2016 launch rate estimate was not surprising given her previous statements. But her conservative estimate of the savings to come when Falcon 9 first stages are recovered and reused was notable. SES of Luxembourg, SpaceX’s biggest backer among the large commercial satellite fleet operators, has said it wants to be the first customer to fly with a reused stage. But SES Chief Executive Karim Michel Sabbagh said here March 8 that SES wanted a 50 percent price cut, to around $30 million, in return for pioneering the reusable version. Shotwell’s appearance here punctuated the changed atmosphere between the U.S. Air Force and SpaceX. A year ago, the company was just coming off a legal battle with the Air Force centered on the U.S. military’s use of the United Launch Alliance Atlas 5 rocket, and on how Air Force rocket-purchase decisions are made. Since then, the two parties have settled their disputes and the Air Force has certified the Falcon 9 Upgrade for Air Force launches. SpaceX is now competing for an Air Force contract whose award Shotwell said should be announced in the coming weeks. The first use of the Falcon 9 Upgrade rocket occurred in December, for the launch into low Earth orbit of 11 small communications satellites for Orbcomm Inc. of Rochelle Park, New Jersey. SpaceX was able to return the first stage to a landing zone near the launch pad. “We identified problems with our chilled LOX,” Shotwell. “For Orbcomm we did not have these problems. We were actually using a different LOX tank. And then we added additional tanks for extra capacity [for the latest mission]. We didn’t overcome it for the first two attempts so we switched back to the original tank that we used for Orbcomm. Then we had to wait for a boat on the third attempt, there was a boat in the way. And then the fourth attempt was upper-level winds. The LOX tanks in question are on the ground, not on the rocket. 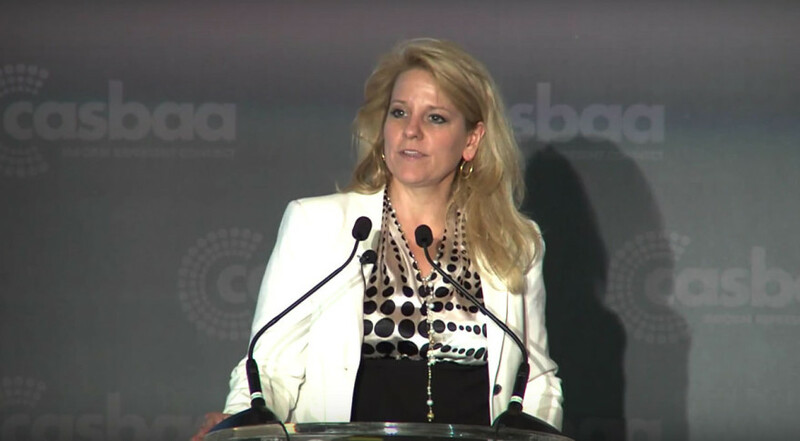 Shotwell said SpaceX does not need to start use of Launch Complex 39A at the Cape Canaveral Air Force Station, Florida, spaceport to help work through its backlog. That launch pad will be used for the Falcon Heavy rocket, however.